Here are some images to illustrate the fact that sandstone is very much a soft rock. Under that thin layer of hardened outer crust is compacted sand, which as you can see, will just disintegrate if damaged. 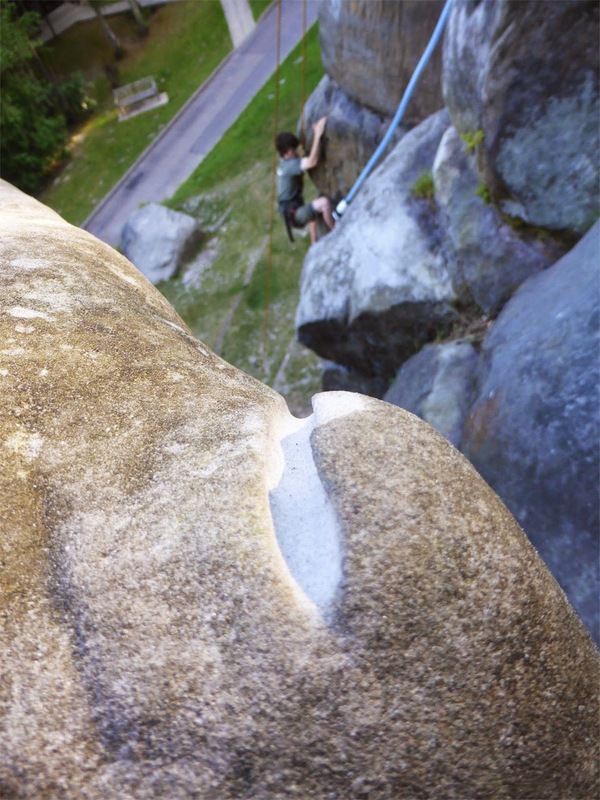 Ropes running over the rock will unfortunately easily cut in the rock creating grooves, especially on rock that is wet and has absorbed moisture, making it even more prone to things like exploding and being cut into. Here is an example of a fresh rope groove at Bowles which will need some attention to try and protect it. Keep the running ropes as clear as possible and use static rope belays and slings at the top so the karabiner hangs over the edge. Wipe your feet before you climb, this will protect the rock as well as make you climb better! Do not use toothbrushes or boulder brushes. 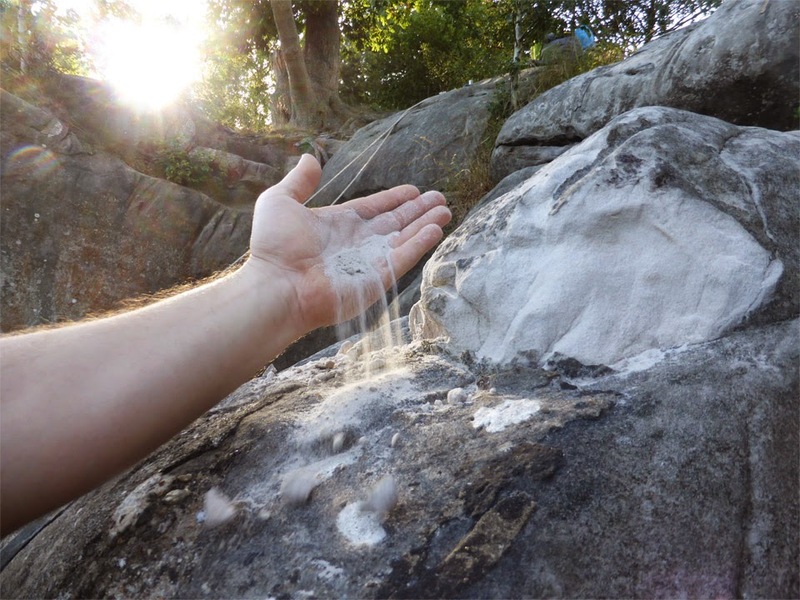 Never use trad gear on sandstone, it will just explode the rock!